Kalibu Academy offers IGCSE, AS and A-levels following the University of Cambridge curriculum. The Academy has carefully grouped all subjects so that students might easily discover their particular talents at an early stage and thereby begin to specialize earlier than normal. 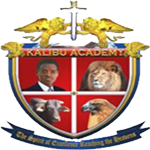 Kalibu Academy presents the following disciplines in four separate categories: business studies, technical studies, humanities and sciences. The Board of Governors of Kalibu Academy believe that a new generation of Malawians must be kept conscious of the need to develop the resources of the nation through hard work and clear understanding that will lead to far-sighted policies. Being mindful of the fact that the Malawian nation is in an era when natural resources are being rapidly squandered and destroyed and there are few answers to this crisis, Kalibu Academy has made it a deliberate policy to provide answers through innovation and planning. Academy students are being directed to provide comprehensible answers that will lead to the implementation of policies and laws that will help address the crisis. This starts with Michiru Conservation Mountain and the surrounding areas that are right on the doorstep of the Academy. To this end, students of Kalibu Academy are taught the principles of Reforestation, Aquaculture, Crop Science, Solar Energy and the benefits of irrigation. Practical subjects like metalwork, woodwork and drawing are also being offered so that the new generation of Malawians might learn how to put valuable talents into sound business operations in order to create employment opportunities for many.